Visitors from Japan come looking for different things, from authentic Japanese food, cultural experiences, and shopping. 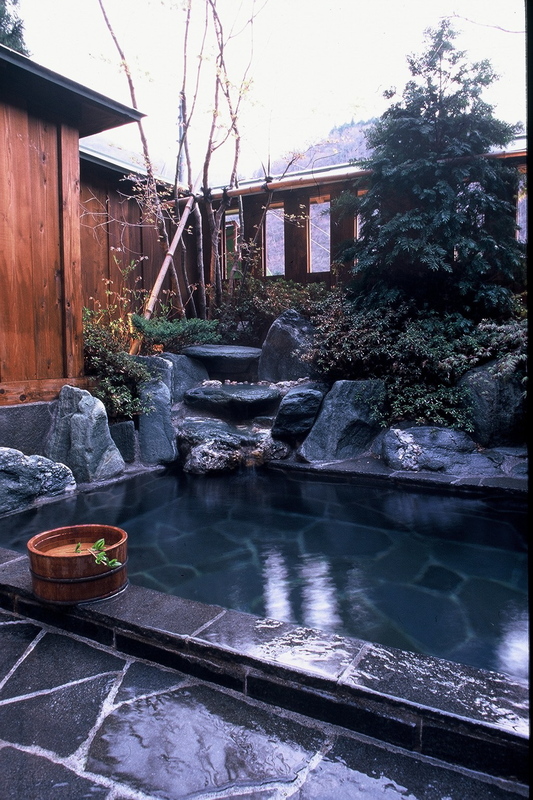 Japanese hot springs, or onsen, are yet another popular activity for international tourists. Though many tourists are interested in onsen, some are from countries that don’t have communal bathing customs. For these visitors, it may take a lot of courage to get naked and take a bath with your friends, let alone complete strangers! Add to that the fact that most onsen aren’t tattoo friendly, and there are even more visitors who miss out on the opportunity to experience Japanese onsen. The reality is, there are historical reasons that people with tattoos have been banned from onsen in Japan. Despite the influx of international guests who have tattoos, many onsen still maintain this antiquated policy. As you can see, this all makes for a terrible situation. Many visitors to Japan wish to experience Japan’s famed onsen, but they can’t because of superficial cultural problems. This is truly a shame. We at Shima Onsen Kashiwaya Ryokan have a strong reputation on sites such as Trip Advisor. 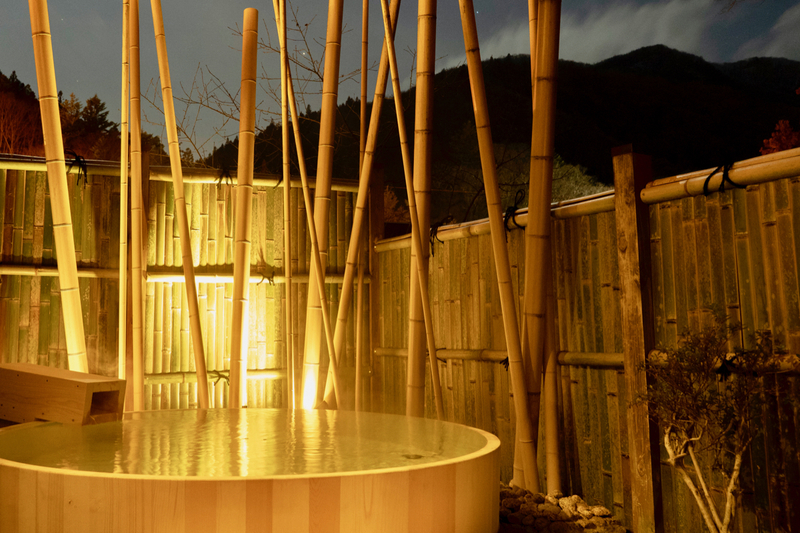 This is due to our dedication to making onsen accessible to all guests. We have had a “Tattoo Friendly” policy for many years, and we have several private onsen baths that are free for guests to use: three private baths open to all guests, and 2 rooms that include their own private bath. 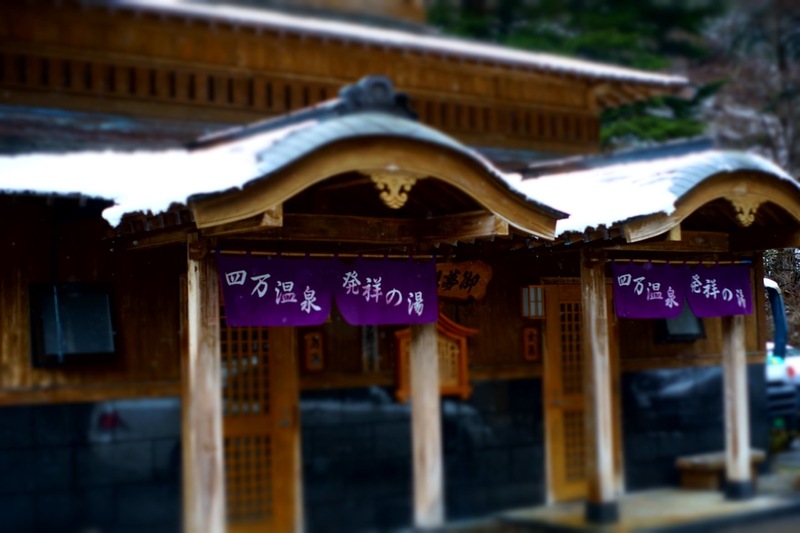 Many of our guests post photos on Instagram from our private onsen as well. Search #privateonsen and #kashiwayaryokan to see what we have to offer here! Anyone who speaks English probably knows the proverb, “When in Rome, do as the Romans do.” In Japanese we also have a very similar saying: 郷に入れば郷に従え（go ni ireba go ni shitagae). It means that if you enter a foreign country or region, it is wise to follow the customs and ways there. I believe that travelling is about not only seeing new sights, but also learning more about another country and culture. However, during a long journey you will naturally miss the customs of your home country. We Japanese sometimes visit Japanese restaurants abroad. I think this is because many of us become homesick while travelling. Of course, I also believe it is a benefit for international travellers to step out of their comfort zone and learn about other cultures. That’s why I highly recommend staying at a Japanese ryokan. As we’ve written before on our blog (see links below), the Japanese take pride in the distinct charm of each of the four seasons. The cherry blossoms of spring and the dazzling autumn leaves, the electrifying buzz of the cicadas in summer and the calm, sheer white snow of winter beckoning you to come play! The winter season is upon us now, so you may be asking yourself: what is there to do here in Japan? Well, let us give you just a few ideas! 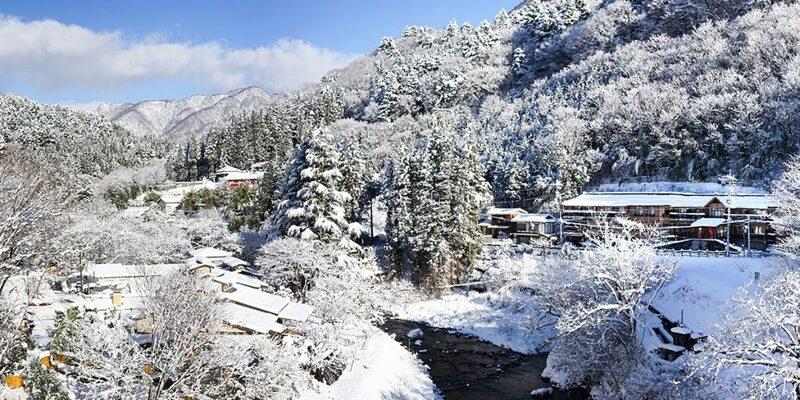 In winter, you can enjoy snowy landscapes stretching over a wide range in Japan, from Hokkaido in the far north to the more central Northern Kanto where Shima Onsen and our Kashiwaya Ryokan are located. Although it depends on the conditions in each region, generally the snow season is from December until March. 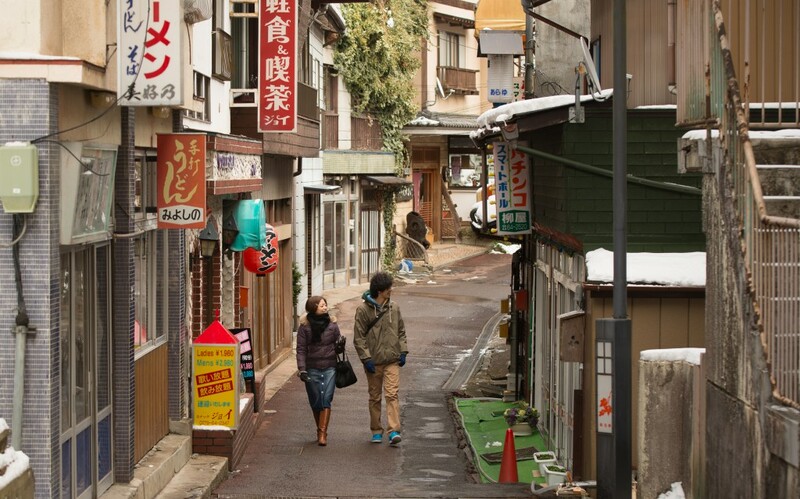 When saying onsen resort, people tend to imagine it to have left far from towns such as Tokyo. Yet, actually, there are a lot of highly original onsen resort and onsen ryokan near Tokyo environs, too. There are more and more visitors who stay based at Tokyo Metropolitan area and stay at onsen ryokan in short trip in one night and two days. 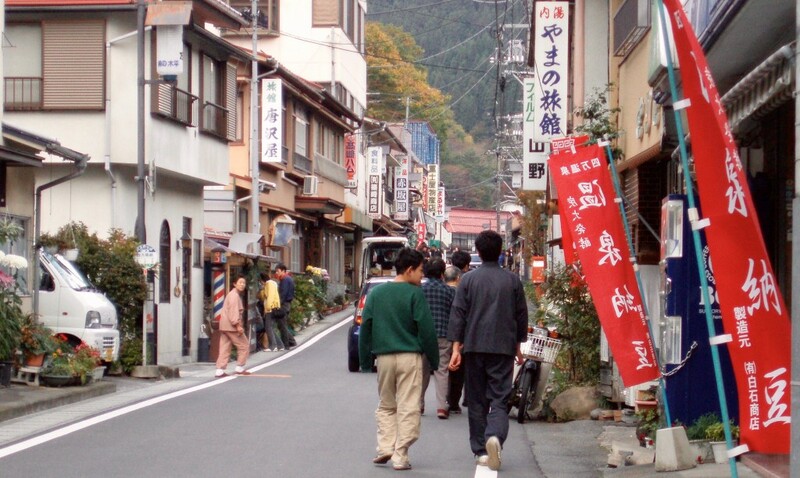 Onsen resorts near Tokyo, including out Shima onsen, are perfect for such needs. 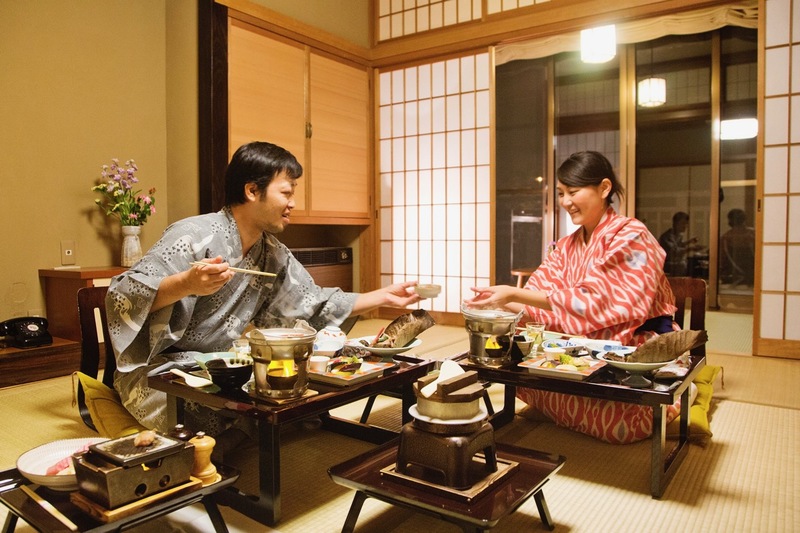 There are also a lot of ryokan in Tokyo but most of them do not equipped with onsen and meals. So, it is hard to experience all the essences of ryokan (Japanese atmosphere, onsen, washoku) there. Thus, I recommend you to stay at least one night at onsen ryokan that is close to Tokyo. I have listed up some recommended onsen resorts, where you can enjoy ryokan close to Tokyo. 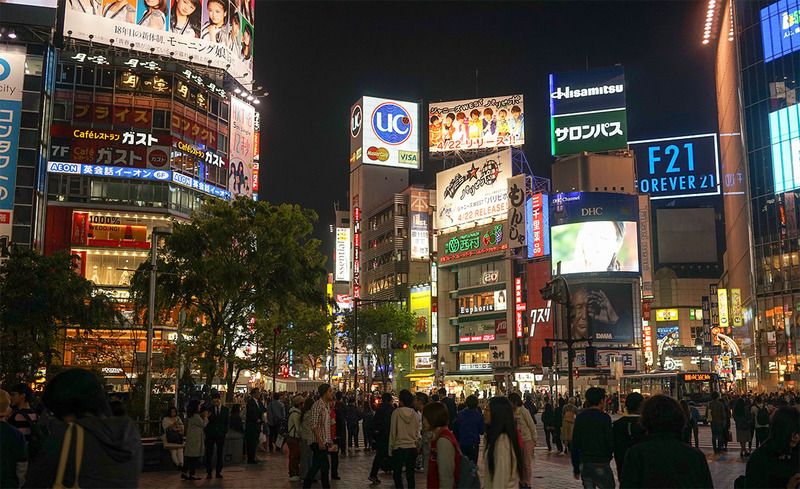 In Tokyo, there are a variety of accommodations from ultra-luxury hotels to capsule hotels. The total number of rooms of accommodations is almost 150,000 rooms, combining hotels and ryokan. In addition, construction and opening of new accommodations are coming up towards the Tokyo Olympics. At Shima Onsen, not only each ryokan has satisfying number of Onsen, but also there are various facilities at the Onsen town, where you can enjoy Onsen, such as foot bath, drinking fountain, and public bathhouse. Footbath is just good for relaxing after walking. There are Okinaya Footbath, Yamaguchi Foodbath, Yuzuriha Footbath & Drinking Fountain, and Hinatamiyakushi Footbath towards the back from Kashiwaya Ryokan. 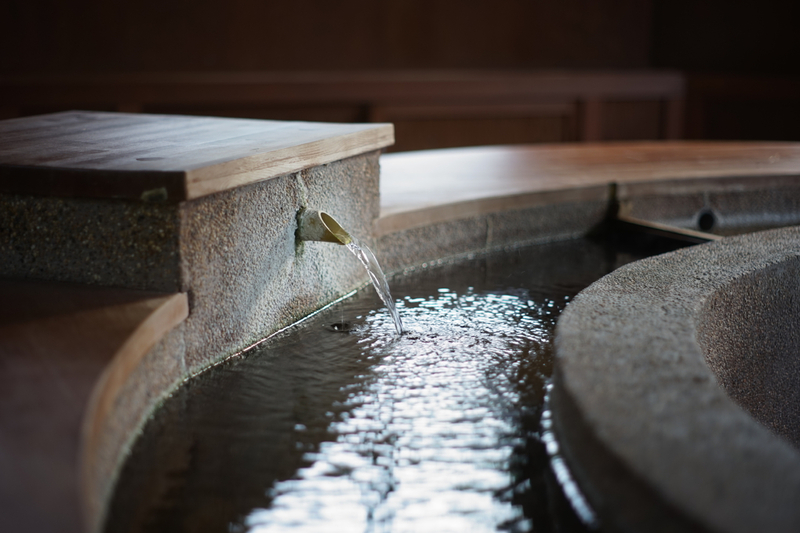 In addition, there are facilities, where you can enjoy “drinking fountain (onsen)” that is one of Toji culture, such as Yuzuriha Footbath & Drinking Fountain and Shionoyu Drinking Fountain in the immediate vicinity of Kashiwaya cafe. There are also three Onsen facilities, where you can enjoy one day trip for free from 9:00a.m. to 3:00p.m. ; Kaminoyu, Kawaranoyu, and Gomusonoyu. In addition, two facilities with charged but has rich equipments; Seiryunoyu and Koshikinoyu at the lakeside of Okushima Lake. Please enjoy efficacy rich Shima Onsen in various types, which has been said to work on 40,000 diseases from ancient times. When Japanese travel abroad, we are surprised about what is written on guide book, that is “we should bring toothbrush and sleepwear, as most hotels do not provide them.” This is very surprising for Japanese, as “Oh? Really?” This is because Japanese accommodations almost always provide toothbrush and sleepwear (yukata). Well, let me introduce basic amenities provide in rooms of Japanese onsen ryokan. ・Electric kettle + tea set – You can enjoy tea (green tea) for free. ・Refrigerator – It is empty or filled with drinks (surcharge required). ・Towels – Most combination is face towel and bath towel. ・Toothbrush – It comes with toothpaste for one night. ・Yukata – Other than yukata, there could also be monk’s working clothes or pajamas. ・Body soap, hair shampoo – Sometimes equipped in a bath rather than in a room. These are the basic amenities provided at general ryokan. 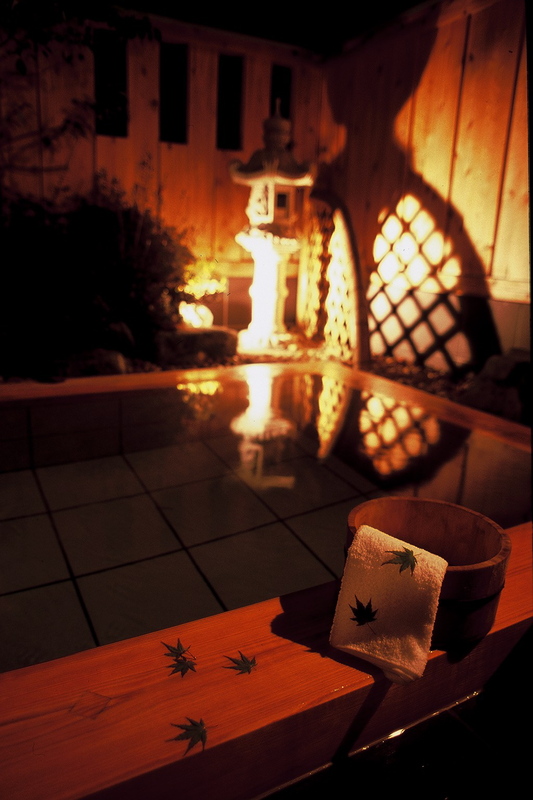 At Kashiwaya Ryokan, we also offer the following amenities. ・Wi-Fi – Although this is not a thing, it is so useful. ※It is for free. ・Drawstring pouch – A convenient fabric pouch, useful when you go to the bath. ・Tabi – A kind of socks. We provide it only during cold season. ・Skin care products – Provided at women bathrooms. ・Bathrobe – Provided at rooms with private bath. ・Soap, shampoo, and conditioner set of THANN, the Asian luxury cosmetics brand – Provided at rooms with private bath. 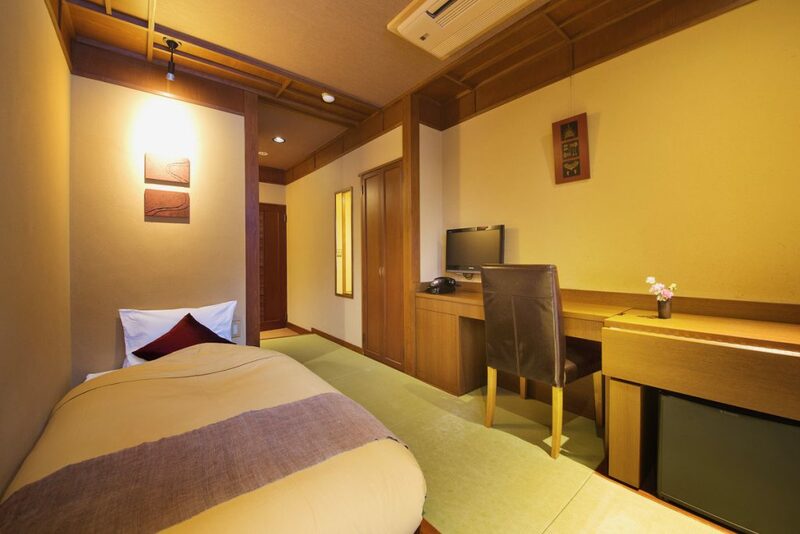 Use amenities and built-in fixtures at ryokan effectively to enjoy your comfortable trip! To say couples, there are various couples, such as lovers who began the relationship recently, just married couples, and couples snuggled for years. Our Shima onsen Kashiwaya ryokan is recommended to couples and actually used by them the highest, and of course they are very pleased. The greatest factor is, again, the 3 private onsen (open-air bath). It is fun to chat, looking at seasonally changing mountains, such as cherry blossoms, fresh green, autumn leaves, and snows during day and the sky with full of stars during night and taking bath quietly can be also happy. 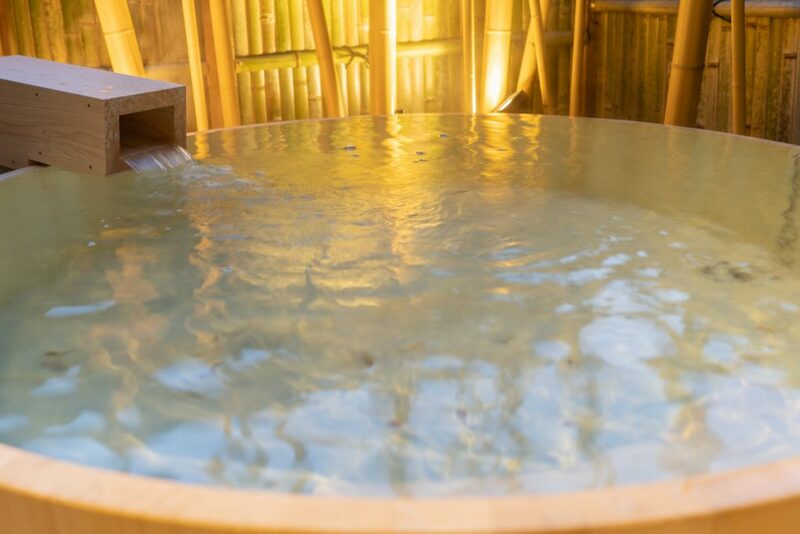 As we have a system that customers can take private onsen as many times as they want if it is vacant (do not forget to lock the door from inside at the time of use), so customers can enjoy it freely. I think this may be one of factors why couples love our ryokan. 3 onsen have individually different taste. Kaede-no-yu (Maple) is a Japanese garden-style stone bath with maple and Sanbaseki, famous stone at Gunma). Sakura-no-yu (Cherry blossom) is a bath using cypress for its frame also made at Gunma Prefecture. 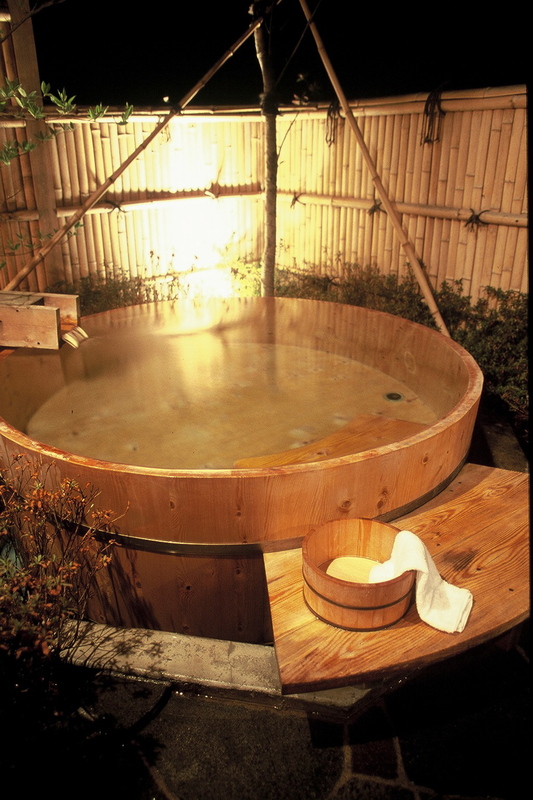 Finally, Tsuki-no-yu (Moon) is a round bath tub type made of wood, using Takanomaki woods made at Kiso. And, another thing couples enjoy is dinner provided at each guest room (Oheyasyoku dinner). 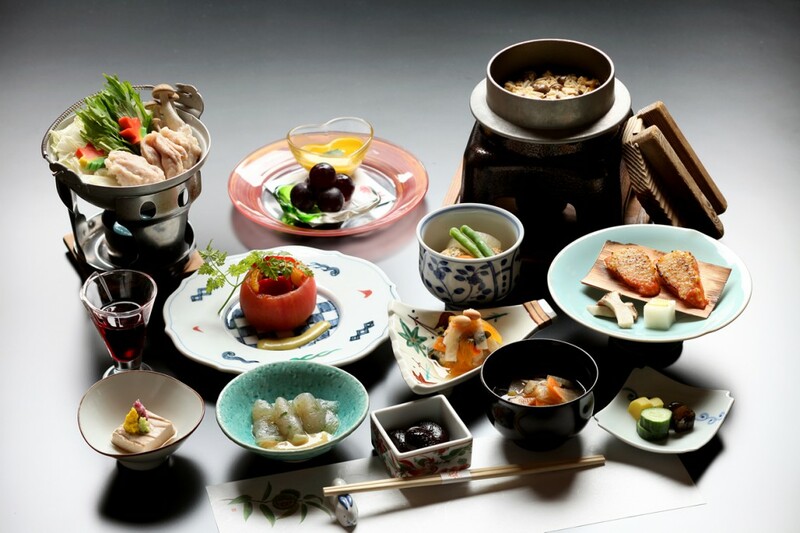 So to speak, it is like a system to say even “in-room dining of full course”, sitting on a cushion on tatami Japanese-style room, you can enjoy a meal arranged in Gozen (a small table for a meal) called Daimyo (feudal load) Zen with only two people in private. Daimyo (feudal load) Zen with only two people in private. In the sense on onsen for couples, our Shima onsen area itself is a perfect resort suitable for couples who want to spend a quiet time flowing leisurely. 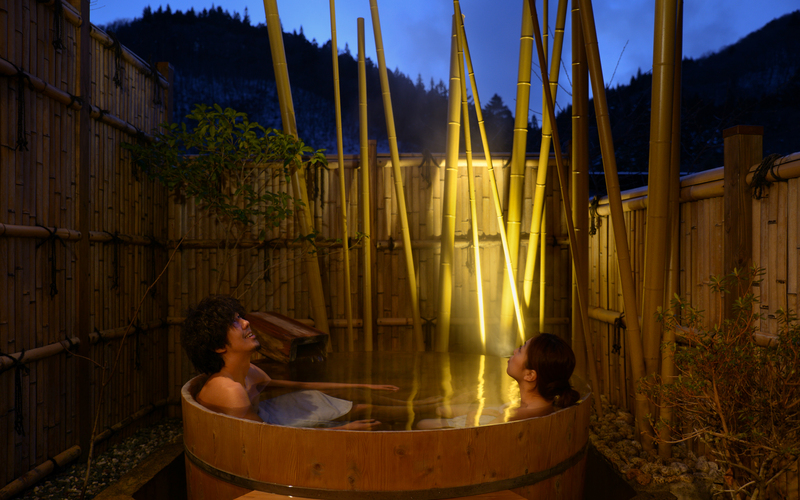 When couples who spent such crowded places stay at Shima onsen, they can really relax and get refresh. Thus, we recommend staying at a quiet resort where you can spend time by you two people alone, like our Shima onsen Kashiwaya ryokan when traveling long in Japan. We guarantee you two people become more and more intimate!